Can contain multiple toxins causing vomiting and diarrhea and can also affect other organs. December Holiday Season – what a wonderful time of the year. Perhaps a reminder of some holiday safety tips would be useful to try to avoid ending up at the veterinarian’s office. Christmas trees are a great attraction for our pets. The shiny tinsel and sparkling ornaments beckon to be swatted at and yes, ingested. This can cause intestinal blockages and perforations. 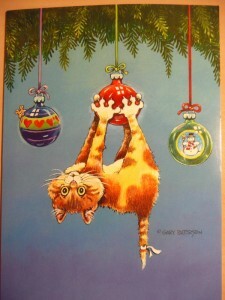 Cats, especially, go for the tinsel as well as gift decorations of ribbon, yarn , and string. 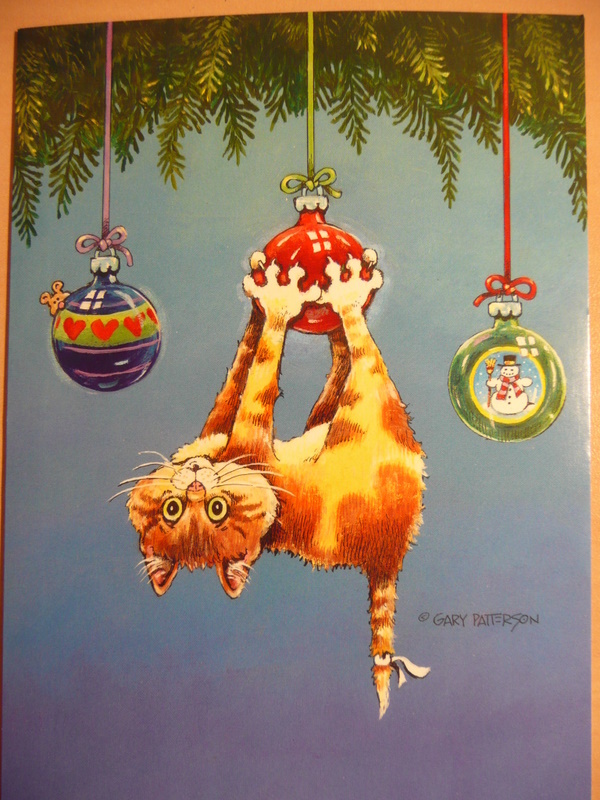 Then there is the cat in the Christmas tree, pulling it over, breaking the ornaments, and spreading broken glass over the floor. Cut pads on the paws can bleed profusely and by the time you catch your terrified kitty you could have blood everywhere. Also the water necessary to keep freshly cut trees contains tar and other chemicals which leach out of the trunk. Drinking this could cause, at the very least, salivation, nausea, and abdominal cramping. A final thought on fresh Christmas trees: many male dogs find it so thoughtful of you to have brought their bathroom indoors! One solution to the Christmas tree hazards might be to try to place the tree in a room that can be closed off so when you are not right there to supervise, the door can be closed to keep your pets out of harms way. Poinsettias – are they poisonous? Stay tuned for the answer.